Let it be known that one man on the evangelical side of the fence spent a lifetime working to give women access to Christian ministry. David M. Scholer, professor of New Testament at Fuller Theological Seminary in Pasadena 1994-2008, joined Evangelical Women’s Caucus (EWC) in the 1970s when we were just getting started. For 36 years at four seminaries he taught “Women and Ministry in the New Testament and the Church Today,” explaining that a careful reading of the gospels and letters of Paul demands full inclusion of women in church leadership. He personally mentored many women students and friends as they became pastors. A Baptist, he worked against and publicly debated the idea that “women should be silent in the churches,” still held by the Southern Baptist Convention. When EWC took a stand for inclusion of gays and lesbians in 1986 and many members left to form Christians for Biblical Equality (CBE), Dr. Scholer remained a member of EWC, whose name was later expanded to Evangelical & Ecumenical Women’s Caucus. He also shared his scholarship with CBE. At EEWC’s 30th anniversary national conference in Claremont in 2004, we honored Dr. Scholer for 32 years of service to biblical feminism. 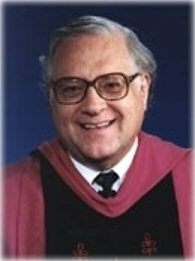 American Baptist Women in Ministry also awarded him a citation in 2001 for his many contributions. In 2007 the Los Angeles Times ran a front-page feature on him for his testimony of faith while surviving colorectal cancer against all odds and continuing to teach at Fuller. David finally succumbed on August 22, and a worship service in thanksgiving for his life was attended by 500 or more people in Pasadena, including EEWC members of the past and present Karen Berns, Libby Patterson, Sharon Billings, myself, and probably others I didn’t see. One of his favorite Scripture passages was Romans 8, read to him during his last few days and also at the service in Pasadena. For six and a half years he continued to teach while suffering painfully but affirming that “…neither death, nor life… nor things present, nor things to come, nor height nor depth nor any other creature, shall be able to separate us from the love of God, which is in Christ Jesus our Lord” Romans 8:38-39. In a sermon recorded in 2005 called “Prisoners of Hope: Living with Cancer,” which can be heard online, David reflected on how a loving God could allow evils such as cancer to exist. He maintained that God is “not the author or cause of evil”; instead, God suffers with us, he said, noting that the Holy Spirit intercedes with groans for us and that Jesus wept when his friend Lazarus died. Racial, denominational, and gender inclusiveness was notable in the service. Friends who spoke included a Franciscan brother, an African-American Baptist pastor, a female former student now earning a doctorate in New Testament, and our own Sharon Billings, who emphasized his humility, empathy, and advocacy. A native of Rochester, Minn., he was ordained in the American Baptist Church USA in 1966, earned his doctorate at Harvard Divinity School in 1980, and taught at three other seminaries before Fuller. He remained a noted scholar on Gnosticism and second-century Christianity. For many years he was a lone voice speaking for equality for women in church service and encouraging skeptics to listen to the stories of Christian homosexuals. He is survived by Jeannette Scholer, his wife of 48 years and companion in biblical feminism, who recently retired as director of academic programs at Fuller, as well as two daughters, Abigail Scholer Strazzabosco and Emily Scholer Hernandez, and three grandchildren. Memorial donations may be sent to the David M. Scholer Scholarship Fund at Fuller Theological Seminary. A CD of his sermon on living with cancer is available from First Baptist Church, Pasadena, CA, or may be heard online at archive.org. David Scholer’s article, “My Fifty Year Journey with Women and Ministry in the New Testament and in the Church Today” was written for the summer, 2006 issue of Christian Feminism Today . Also available on our website is David’s review essay on Amy-Jill Levine’s book, The Misunderstood Jew: The Church and the Scandal of the Jewish Jesus from our spring, 2007 issue. Readers may also want to read his obituary in the Los Angeles Times. We in EEWC want to express our deepest condolences and love to David’s wife, Jeannette, who is also an EEWC member. May God’s tender comfort, love, wisdom, and unfailing strength surround you, Jeannette, throughout the days ahead. © 2008 Evangelical & Ecumenical Women’s Caucus. Originally published in the Summer (July-September) 2008 issue of Christian Feminism Today, Volume 32, number 2.